Raw beetroot and ginger doesn’t exactly spring to mind as an obvious breakfast, but combined with gluten-free oats, nuts and seeds, the two ingredients make a fantastic low-GI muesli base. 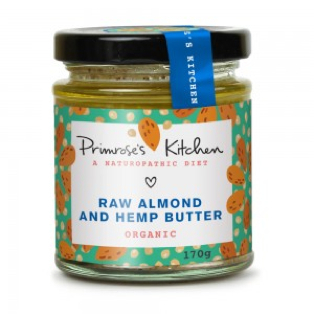 Primrose’s Kitchen, based in Dorset, produces two flavours of raw vegetable muesli. The raw carrot, apple and cinnamon is slightly sweeter, and more traditional in taste, but the beetroot is a real gut-buster, with its high fiber, low sugar content. Don’t be put off by the veg bit — it’s dehydrated, and makes this muesli a bit more guilt-free. Primrose uses her background in naturopathic and complementary health to create energy powders for brain boosting, and body cleansing. She also mixes almond nut butters with added chia seeds and hemp to up the nutritional profile. The six-month muesli subscription makes a great gift for those who are health-conscious, but juggle a hectic schedule. Recipients receive a monthly supply of muesli — a good way to stay in shape this summer.